The property is very well located along Sparkle Street in the Piccadilly district of Manchester city centre. 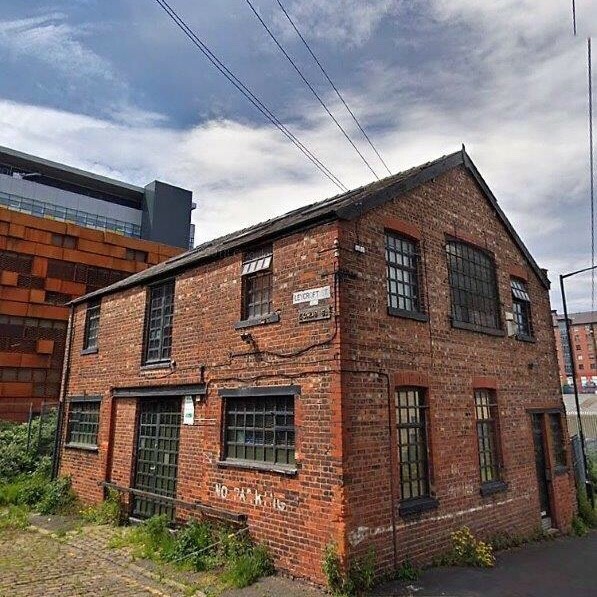 Sparkle Street runs between Chapeltown Street and Store Street in the Back Piccadilly area just off the main A655 Great Ancoats Street in an area which is rapidly evolving for both residential and commercial occupiers. Refer to Location Map below. The property is a detached two storey commercial building together with some car parking availability. The building is of an attractive traditional brick construction with pitched slate roof supported on light steel trusses and timber boarded floors. There is glazing to the left and front elevations together with Velux windows within the roof void. The building is effectively open plan in nature on each floor and as such affords the purchaser the opportunity to fit out to their own exacting requirements. The ground floor incorporates a small kitchen type facility and the first floor a washroom. The building has a number of very attractive features including boarded floors, open and airy feel, excellent natural light, exposed brick walls and feature lighting. An inspection is thoroughly recommended. Please contact the Sole Agents; Haughton Warburton on 0161 839 0080. The gross floor area extends to 2,016 sq ft in total with the accommodation arranged equally over ground and first floor levels. The property is currently in use for commercial purposes but is considered to have redevelopment/refurbishment and/or alternative use potential; subject appropriate consents. All interested parties are to rely on their own enquiries in this regard. The property is offered For Sale at offers in excess of £450,000. All rents and prices are quoted exclusive of, but may be liable to VAT at the prevailing rate.